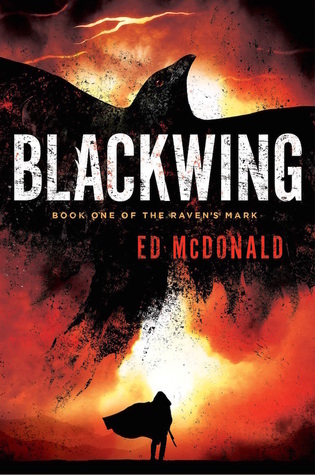 First thing’s first, I want to thank the publisher for sending me a copy of Blackwing and Ed McDonald for writing an awesome book. Though I did end up going audio to finish this one off, all in part to Colin Mace doing the narration, Ace has been, well, aces, in publishing brilliant books this year and I am glad to add this one to my ‘Finished’ pile. Ryhalt Galharrow isn’t a hero and doesn’t pretend to be. He is a bounty hunter; on a mission with a ragtag bunch of ingrates to find a noblewoman with a great power welling inside her. What lays in front of him is the ‘Misery’, a barren, post-apocalyptic wasteland full of vicious creatures and covered with a bruise colored sky. What lies on the other side are the Deep Kings, immortals kept at a distance thanks in part to the Engine which created the wasteland and acts as a sort of shield to keep civilization safe from their destruction. What Ryhalt doesn’t expect to find is a well-hidden conspiracy that comes unhinged as the creatures of the waste begin knocking, and civilization faces impending annihilation. Galharrow must rely on the noblewoman, his fellow mercs, and Crowfoot, one of the “nameless” whom guides Ryhalt on his venture, in order to save what shred of humanity is left. McDonald has written one of my top 3 reads of the year. I’m struggling saying it is #1 because Kings of the Wyld by Eames and The Court of Broken Knives by Spark are still swirling around in my mind. I’ll probably just have a top 3 and say they are my top reads for the 1st, 2nd, and 3rd quarters of the year. What makes the book is the pure grittiness, brutal bloodshed, original magic system, and overshadowing wasteland. Though there are parts that may drag a bit, as in any novel, each and every piece is needed for the overlying story and simply adds to the enjoyment. It reminds me a lot of The Vagrant by Peter Newman in so that it takes place in a post-apocalyptic wasteland full of disturbing, bloodthirsty creatures and mysterious foes on a mission for destruction. Galharrow is a nod, IMO, to Bedeckt in Michael R Fletcher’s Manifest Delusions series: an old, battered drunkard who only sees the dreariness and chaos around him, but is a total BA when it comes to slaughtering foes and taking punches. The Bride characters also remind me a lot of Erbrechen the slaver, living off of the praise and worship of their followers and their power/influence (not to mention their bodies) growing with each and every addition. 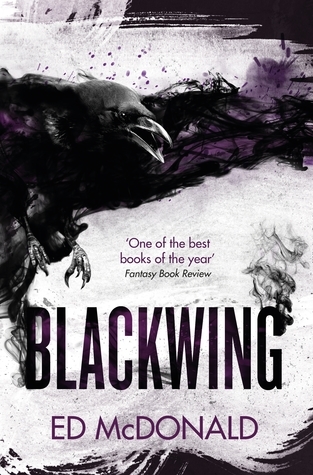 If you haven’t had a chance to pick up Blackwing, do yourself a favor and get a copy. BTW: Just finished and reviewed the second book in the series. haha absolutely! You still have a step on me as I haven’t started Ravencry yet but plan on doing that here soon! Thanks again for always having kind things to say! Godblind is another I have been meaning to read!!! !